Here is the dirty little secret; we might actually be keeping ourselves from happiness. Why? Because creating a happy life moves you away from your comfort zone. Happiness might be so far removed from where you are used to being that your brain goes into survival mode and it will find ways to bring you back down. You’ll be thrown into overwhelm, stress, or pressure, even though what you really, really want is to be happy. This is called your Set Point. I created a program filled with scientifically proven tools that will help you move your set point into success and happiness where it belongs. 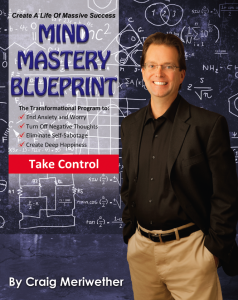 The program is called The Mind Mastery Blueprint. End Depression, Chronic Anger & Anxiety Without Medication! You are capable of changing your life. Most of the people I deal with have been struggling with depression for many years and have usually exhausted themselves looking for a solution in every book, course, or treatment program out there. By the time they get to me, they are skeptical (I don’t blame them) and have little faith in ever getting rid of depression. The techniques I teach in The Depression 180 Program are proven, research-based methods and have been published in the leading medical journals. The techniques and methods in this program will end your depression without the use of medication. This may seem very hard to believe for someone who may have had this condition for some time but please believe me when I say that it is possible to be free from depression. I will reveal every technique and method to you. 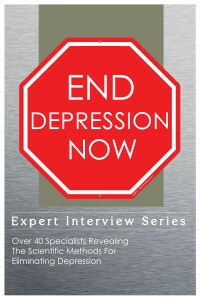 The End Depression Now Expert Interview Series brings together for the first time over 40 doctors, researchers and depression experts to discuss and answer one the worlds most pressing health questions – how do you eliminate depression? Depression is one of the most serious and controversial topics in health today. By the year 2020, depression will be the 2nd most common health problem in the world after heart disease (and studies show depression is a contributory factor to fatal coronary disease). Billions of dollars are spent every year on antidepressants yet the rates of depression keep increasing. 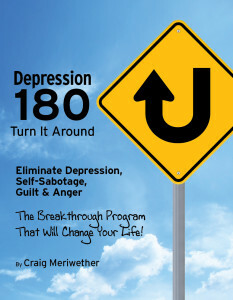 This is the first depression telesummit of this magnitude as The End Depression Now Expert Interview Series brings together the leading researchers, trauma specialists, neuroscientists and behavior experts to teach the latest medical and scientific facts about ending depression and creating happiness. Master These Tools And Watch Your Life Transform Into A Thing Of Beauty! 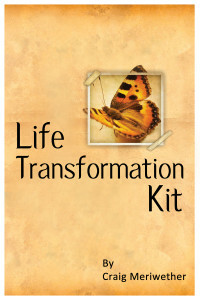 In the Life Transformation Kit you’ll get guided mental rehearsal recordings that you can download right now to get into the state of already being the person you desire. • A guide to the 3 crucial steps to visualizing your new life plus a really important extra step, which if you do it will help bring your new life to you even faster and easier. • A guide to eliminating unwanted, unhealthy emotions in 90 seconds. • 5 subliminal recordings for Health, Prosperity, Happiness, Relationships and Confidence. All these tools create an amazing breakthrough program for producing the life you really want. The Miracle Of Life Is That Nothing In Your Past Has Any Ability To Determine Your Future. Mutant mice, multiple personality disorder, healing the crippled with fake surgery, and the amazing power of the color blue, this is about how your subconscious programming is controlling and possibly even sabotaging your life. It was Albert Einstein who said, “You cannot solve a problem from the same consciousness that created it. You must learn to see the world anew.” In other words, you cannot create your new life with the same mind and thinking patterns that created the life you have now. The person you are now, your behaviors, habits, your automatic thoughts, automatic emotional reactions have created the life you have now. What you did yesterday is giving you the results you have in your life today. Therefore, if you want tomorrow to look different then you can’t keep doing the same things you’ve been doing, you will have to change your behaviors and habits. In order for tomorrow to be better you have to change the way you are living your life today. 30 Inspirational Ideas To Live Your Best Life Now! 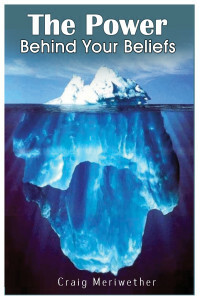 An Oyster Can’t Produce Pearls Without First Suffering With A Grain Of Sand. 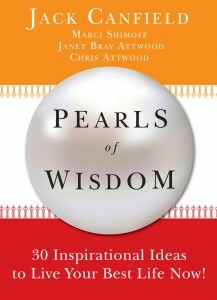 Each of the chapters in Pearls of Wisdom: 30 Inspirational Ideas To Lead Your Best Life Now gives guidance to readers on how to turn their own grains of sand into pearls. With four New York Times bestselling authors, including Chicken Soup for the Soul’s Jack Canfield, Chris and Janet Attwood, and Marci Shimoff plus 25 of the best up and coming self-help authors (including yours truly), each chapter contains a fresh idea for a positive life change. With each chapter as diverse as the cast of authors who have come together to create this unique book, there is certain to be an idea to help transform anyone’s life. Pearls of Wisdom contains the greatest ideas of today’s top self-help authors, combining traditional and new techniques, affirmations, theories, meditations and practices to lead readers from the struggles they deal with in their current situations to a higher, enlightened life; not merely an existence. For anyone who has thought, “am I really living the best possible life I could be?”, Pearls of Wisdom grants the answers for any of life’s questions, straight from the words of the masters of self-help themselves.